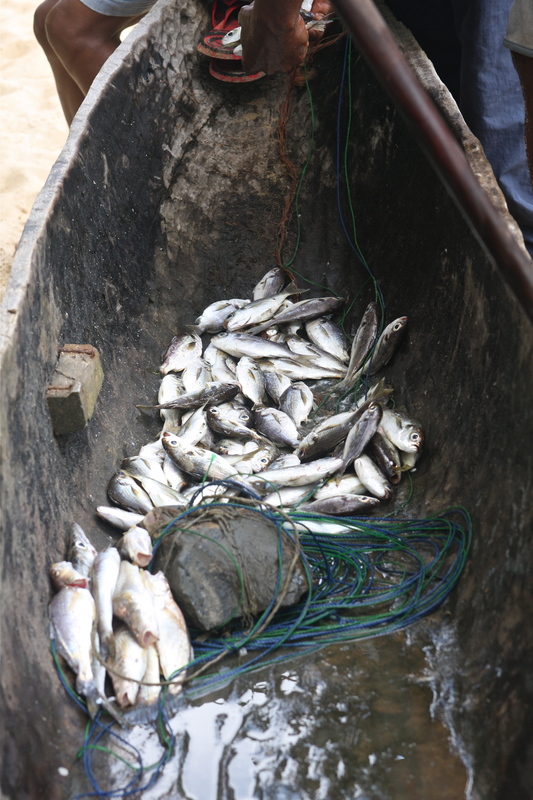 Take a nice look at Kribi’s quaint fishing port. It may be unrecognizable in a few years. After many years of talks and delays, the Cameroonian government appears to be moving ahead with the Kribi deepwater port project, the first step of a major industrial development program. No details are provided on the nature of the compensation or the number of people who will be displaced by the project. The port is not the only major development on the horizon. Work is already underway on Kribi’s gas thermal power plant, which is expected to become operational sometime in late 2012. What has happened? Watch the film to see how Chad’s oil has impacted life along the pipeline in Cameroon. This work was produced with support from Frontline World, The Pulitzer Center on Crisis Reporting and The Center for Investigative Reporting. Cameroon: Pipeline to Prosperity? is the first installment in my ongoing exploration of Africa’s booming oil industry, Pipe(line) Dreams. You can read more about the project on the website. Please support my work on this project by viewing the film and leaving your feedback. It is crucial to show funders that this work matters! The U.S. now imports more oil from Africa than from the Middle East, with oil accounting for more than 80% of all African imports into the country. African is soon expected to account for close to one quarter of U.S. oil consumption. With Africa increasingly seen as the next frontier of oil exploration, there is no shortage of oil companies lining up for financing from the World Bank Group. Oil drilling has begun in Ghana with support from the World Bank Group; loans may soon be approved for Uganda. New oil has been found in Chad, Cameroon, Nigeria, Angola — even Sierra Leone. The list goes on, with government and corporate officials in each country promising to make oil work for the people. But in countries lacking accountability, with weak legal systems and lax or nonexistent environmental regulation and enforcement, is oil really a viable development option? And is there a valid reason that public funds subsidize these projects? Both the U.S. and China depend heavily on African oil, yet we rarely see anything about how that oil dramatically transforms African communities, economies and environments. Pipe(line) Dreams, a timely and globally relevant story, will bring much needed attention to the rapidly expanding oil industry in Africa. A new oil spill was reported at the marine loading terminal offshore from Kribi at 1:45 am on April 22nd. According to COTCO, the “minor spill” occurred during a violent storm. The transfer of oil from the loading terminal (FSO) to a waiting tanker was halted due to bad weather. High waves washed some “residual oil” from the deck of the waiting tanker. Again, according to COTCO, less than five barrels total were spilled and the oil was immediately cleaned up. No oil has been reported on the coast, but fishermen did report seeing a sheen of oil offshore. Several Cameroonian NGOs have released a statement deploring the lack of communication between COTCO and the local populations as well as the lack of any statement or information from the Cameroonian government. The Comité de Pilotage et de Suivi des Pipelines (CPSP), the Cameroonian authority responsible for the pipeline, has not made any public comments regarding the spill. With no information from the government and no journalists allowed near the marine loading terminal, it is extremely difficult to verify COTCO’s information. In the event of a major spill, several million barrels of oil could end up in the Atlantic ocean 12 km. 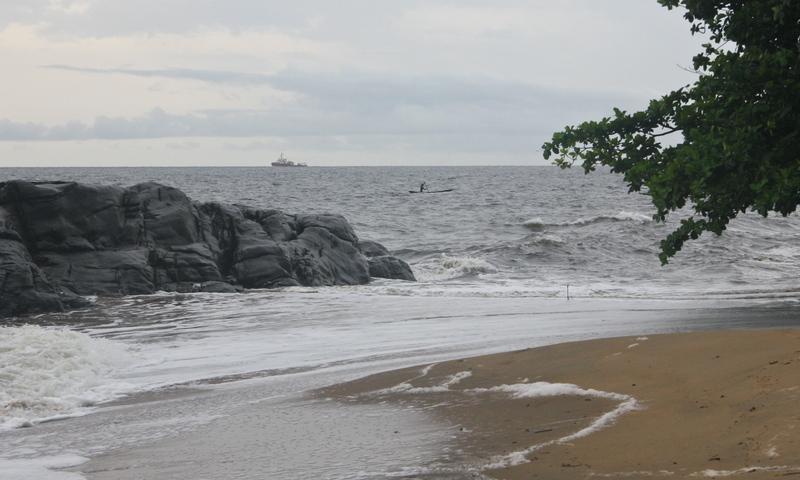 off the coast of Kribi, Cameroon’s main tourist destination and an important fishing and sea turtle nesting zone. The thought of a spill anywhere is terrifying, but watching what’s going on in the Gulf of Mexico now makes me extremely uneasy about Cameroon. Of course the situation in the Gulf is particular, but one clearly sees that controlling an oil spill, even with the best equipment and ample manpower, is incredibly difficult. Any significant spill at the marine loading terminal in Kribi would likely be an ecological (and economic) disaster of major proportions. It’s important to remember that the offshore marine loading terminal at Kribi (the FSO), is a single-hulled refurbished tanker. Today all tankers, including those used as FSOs, must be double-hulled — an additional protection against spills. For me Campo was a stop on the road to the Campo Ma’an National Park. To access the park by land, you have to travel another two and a half hours east along what used to be a logging road. Now it’s more of a path, barely wide enough for a car to pass. The forest ranger who accompanied us to the park said that on average the road gets used once every two months, just enough to keep the forest from completely reclaiming the land. 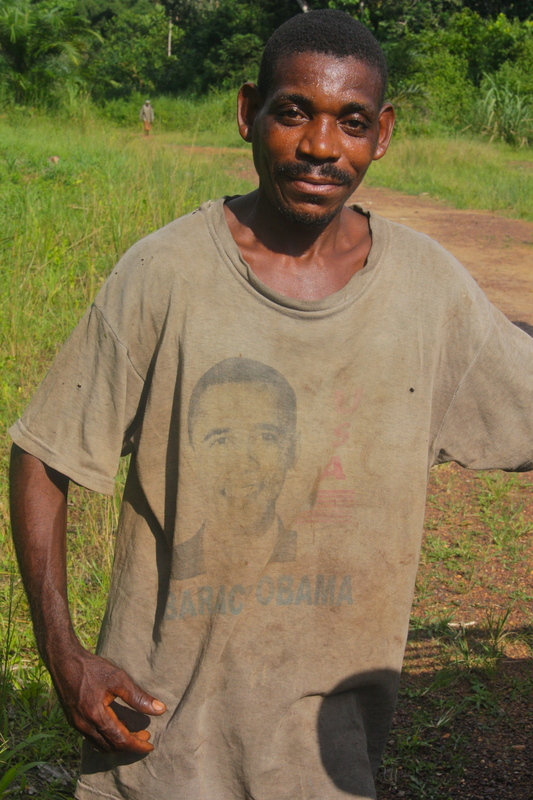 At the last settlement before the park entrance, we encountered a Bagyeli man in an Obama t-shirt. “The first African president,” he said. Obama t-shirts weren’t unusual; I also saw a few cars, buses — even bars — named Obama. But this t-shirt was special. It was so worn and so far from any town or city; it really seemed to sum up the symbolic importance of Obama here. The first African president. Now with 2010 just around the corner, let’s remember Obama’s declaration: “Africa doesn’t need strongmen. It needs strong institutions.” He pronounced those words in July while in Ghana. I hope that in this coming year Obama will be more than the symbolic first African president, that he will take actions to show his commitment to the continent and its peoples is real. Here I am watching the Paris drizzle from terminal 2C at Charles de Gaulle airport, waiting for my flight to Douala. After months of discussions and proposal writing and waiting for the rainy season to (almost) end, I’m finally off to Cameroon. My plan is to eventually travel the length of the pipeline, to see up-close how this project has really affected people in Chad and Cameroon. On this first trip, I’ll explore the last 250 kilometers of the pipeline, a section that passes close to Yaoundé, the capital of Cameroon, and then continues through the rainforest to the town of Kribi, on the Atlantic coast. 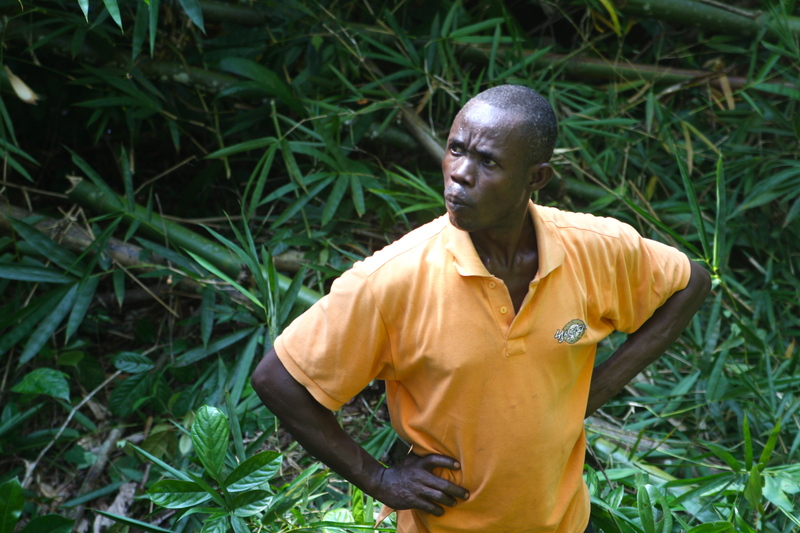 The forest between Yaoundé and Kribi is home to the Bagyeli, one of Cameroon’s two pygmy populations. The World Bank and the ExxonMobil-led consortium were convinced the pipeline project would help the Bagyeli. As part of the mitigation process, the pipeline consortium established an indigenous peoples’ foundation to run health and education programs for the Bagyeli. Many environmentalists and civil society activists, on the other hand, feared that the pipeline would disrupt the Bagyeli’s already fragile existence. As many Bagyeli continue to rely on the forest for their food and their livelihoods, any damage to the local ecosystem could be devastating. This is one story that I’ll be looking at in the coming weeks. But now, it’s boarding time. Kribi. It could be paradise. 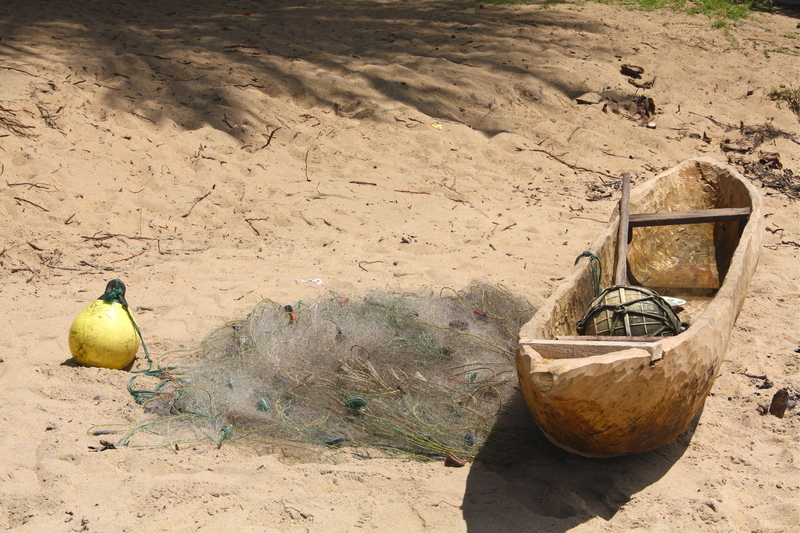 The small beach town on Cameroon’s Atlantic coast is one of the country’s prime tourist attractions. The dense rainforest stretches almost to the water’s edge; a strip of white sand beach is all that separates the greens of the forest from the turquoise waters. Just south of town the famous Lobé waterfalls tumble over black volcanic rocks directly into the ocean. Market women sell and prepare fish right off the boats at the town’s small port. The first time I visited Kribi was in December, 1994, and the beauty of the place was stunning. Of course, most of the town was rundown and ramshackle. Electricity ran intermittently and the water was not fit to drink. Unfortunately this was (and is) the story of much of Cameroon. 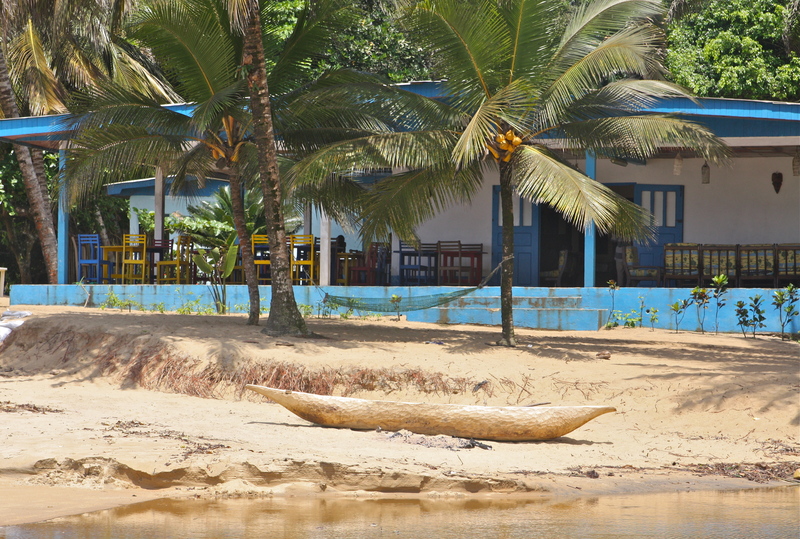 But Kribi managed somehow to have a certain charm and people spoke proudly of their little corner of paradise.